Congratulations to our new Board Members, JoDon Edwards, Chris Talbot, and John MacCallum! See all of our board members on the About page. Check out our Trainings page for some exciting opportunities in the New England area! 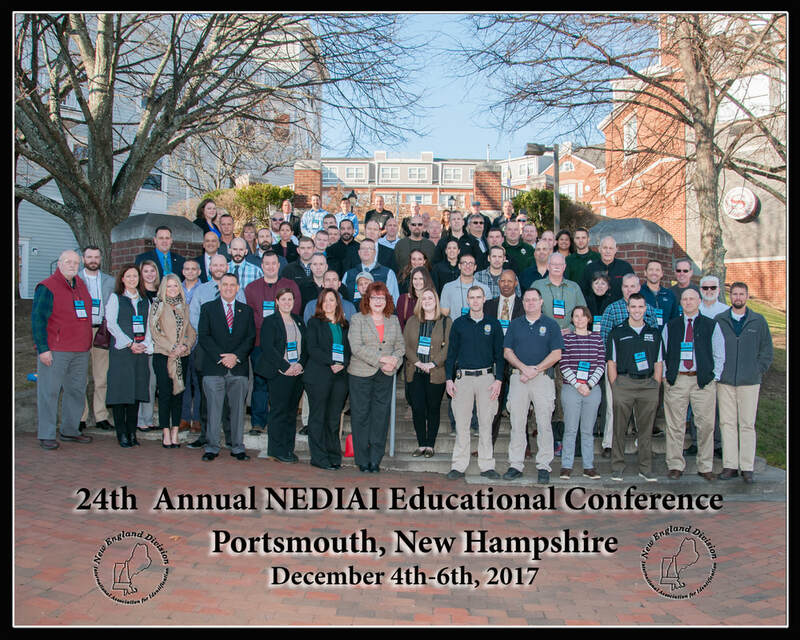 2018 Conference will be held in Newport, Rhode Island in November. Check the Conference Page for updates! 1. Associate persons who are actively engaged in the business of identification, investigation and scientific crime detection in an organized body so that the profession in all its branches may be standardized and practiced effectively and scientifically. 2. To encourage research work in scientific crime detection and developments. 3. To encourage the enlargement and improvement of the science of fingerprints and other branches of scientific identification in crime detection. 4. To keep its members apprised of the latest techniques, discoveries and developments in crime detection and the science of identification in all its phases. 5. To employ all the collective wisdom of the profession to advance the scientific technique of personal identification and crime detection.